What are the reasons and motivations that make you play a part in the Open Innovation Week 2013? In an interview for the Open Innovation Newsletter, Fabio B. Josgrilberg talks about innovation in the education sector. 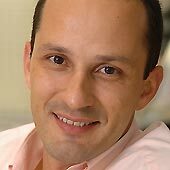 Fábio is PhD, Pro-rector of Graduate Studies and Research, leader of the program of distance learning for the Graduate Program in Communication at the Universidade Metodista in São Paulo. He is also a member of the Consultative Council of Wenovate. The Unit of Technology and Innovation – UNITEC SENAI is responsible for managing the implementation of SENAI Institutes of Innovation (ISIs), and SENAI Institutes of Technology (ISTs), as part of the Support Program to Industry Competitiveness. In the past years, Steve Blank has gained great notoriety in the world of entrepreneurship, with its methodology of Customer Development and with the ‘lean startup’ movement. His manifest, ‘Listen to customers’ contradicts Henry Ford’s maximum “If I had asked people what they wanted, they would have said faster horses”, later renewed with Steve Jobs quote “People don’t know what they want until you show it to them”.